Elevate 2018, the comprehensive one year government-sponsored startup pitch event, came to conclusion on Tuesday with 77 startups selected for funding and mentorship. The programme, organised under the Startup Karnataka initiative of the Karnataka Ministry of IT-BT and S&T, received over 600 applications from across the State and startups in various verticals. 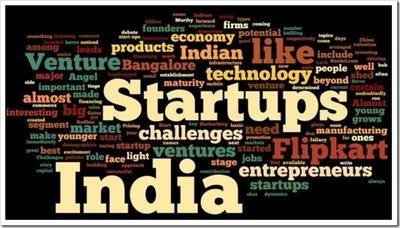 Interacting with DH, Department of IT-BT Principal Secretary Gaurav Gupta said the programme is running for the second year with grant success with the selection of 500 startups in a multi-city pitching. “The selected people will be taken to the startup hubs in Silicon Valley, Sweden, London and Switzerland, and will get access to Rs 2 crore funding,” he said. Gupta said many entrepreneurs have great ideas. “What can help them really shine is the right guidance from the right people, and we are providing them,” he said. The 77 startups that are selected include verticals like agri-tech, audio visual and graphic, biotech, ESDM, IT/ITES, KCT and med tech/clean tech. Even though 63 startups are selected from Bengaluru, Elevate 2018 has representation from Dharwad, Mysuru, Udupi and Uttara Kannada. The government has earmarked a sum of Rs 24 crore towards funding of these innovative startups, of which a special Rs 2 crores has been set aside for startups from the Hyderabad and Karnataka region.